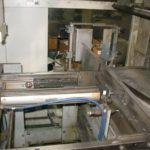 Fully automatic case erector, packer, sealer capable of speeds up to 6 – 8 cpm – depending on application. 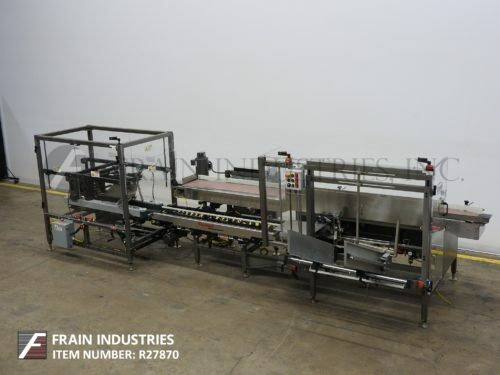 Case size range : 8" – 24" L x 5" – 16" W x 6" – 20" D, has a 120" L product infeed belt conveyor, and 108" L carton magazine, (2) suction cup blank case pic-n-place, the system erects regular slotted containers (RSC), positions them for loading, accumulates product, loads container and seals top and bottom. 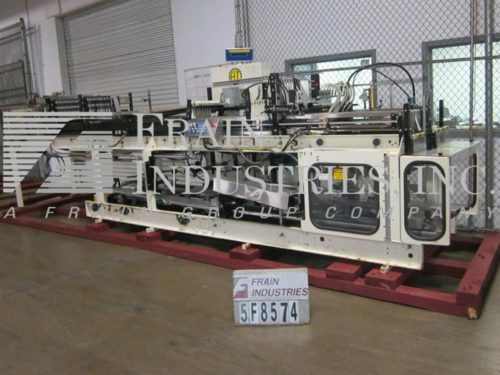 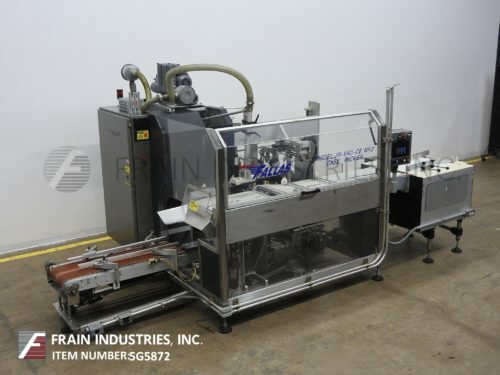 Has a Nordson (2) gun H/M glue system, Electro Cam Plus 5000 Series controls, and plexiglass gaurding.